Today, I had a very transportation-filled day. First, I drove to the metro. Then, I took the metro to the airport to cover a story. 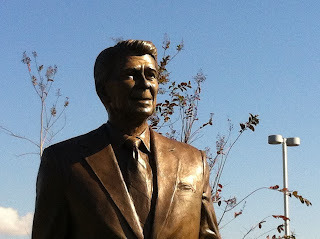 Then, I took a cab back to work, where I wrote a story about the new statue unveiled today at Reagan National Airport of President Reagan, and his contributions to transportation. 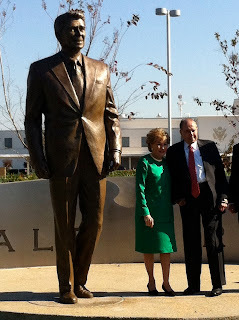 Bob and Elizabeth Dole were there, too. It was nice to see them. Wow, a lot of history in that couple! 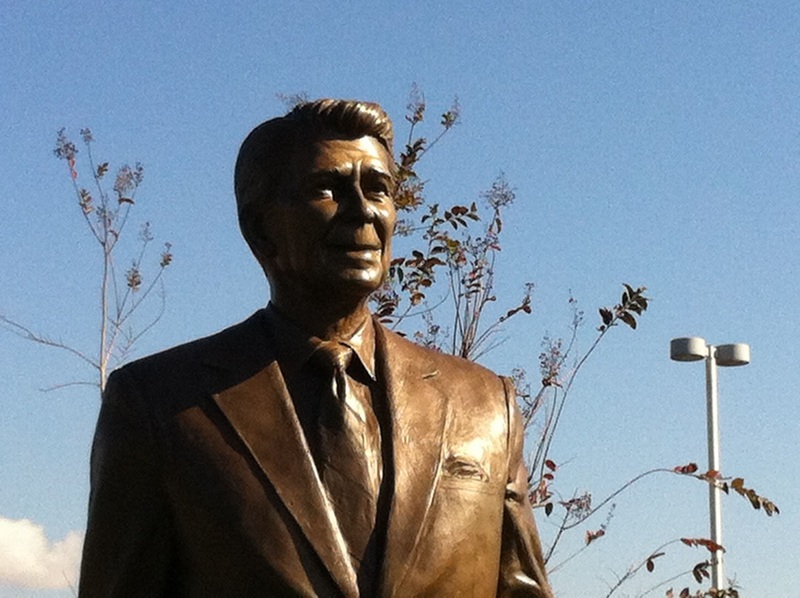 The Reagan statue is 9 feet tall - the Doles have not been shrunken by "Honey I Shrunk The Kids." Seriously, though. How fun is my job? Yesterday, I wrote a story about Herman Cain, today I stood outside in the sunshine at the airport, then enjoyed a bagel inside at one of my favorite bagel places that I can't usually enjoy because I am usually at the airport at 5:00am on a Saturday, and Einstein Bros. is BEFORE security! Tomorrow, I'll cover the President's speech at a local bridge, Thursday, we'll tape our show, I'm going to a luncheon at the National Press Club with TOM BROKAW!!!! And then I'll work on a story about religion and the 2012 race. I get paid for this! Life is so good. Dreams do come true. Sorry to be cliche' but it's true!